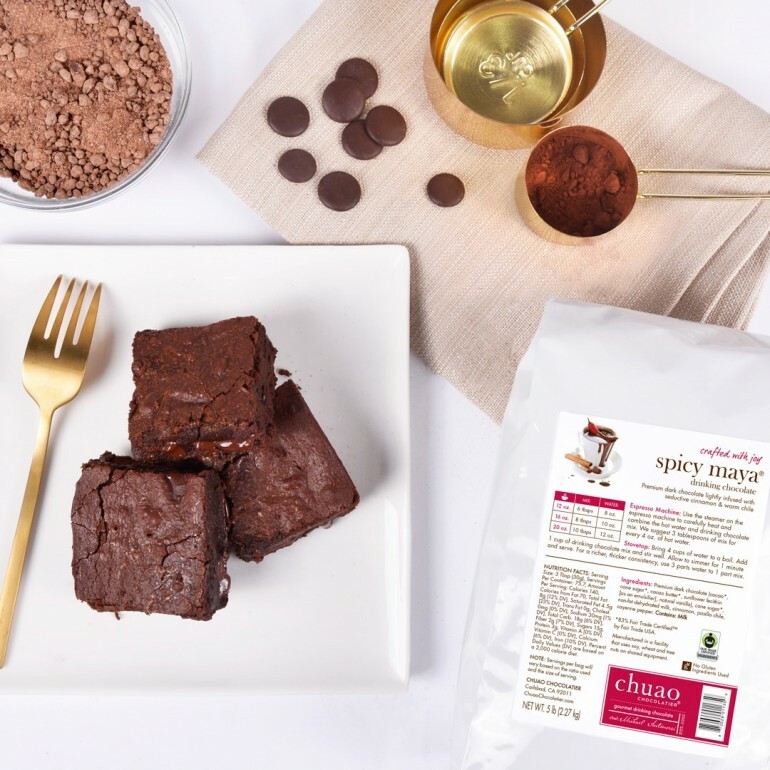 As the first Venezuelan Chocolatier based in the United States, Chuao (pronounced chew-WOW) is on a mission to share joy with the world through deliciously engaging chocolate experiences. The company and its one-of-a-kind confectionary menu of chocolate bars, bonbons, truffles and drinking chocolate, are the perfect base to create decadent desserts. 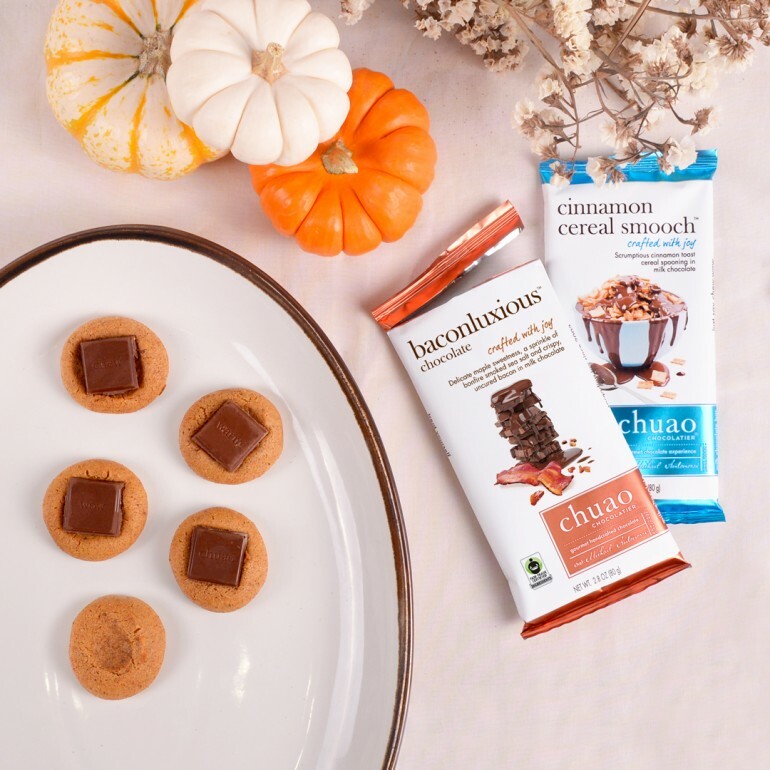 Their flavors are unique, and are possible to find chocolates infused with cinnamon, pasilla chile and cayenne pepper, as well as chipotle caramel fudge truffle with popping candy or, dark chocolate bonbon filled with toasted Panko bread crumbs, olive oil ganache with a touch of sea salt. Chuao Chocolatier’s creative flavor combinations are endless, and to keep enjoying the cold temperatures of Fall and Winter, nothing better than drinking a chocolate martini with a fresh baked brownie or cookies. Find below three recipes to add a sweet, salty and spicy spin on to your classic restaurant dessert. 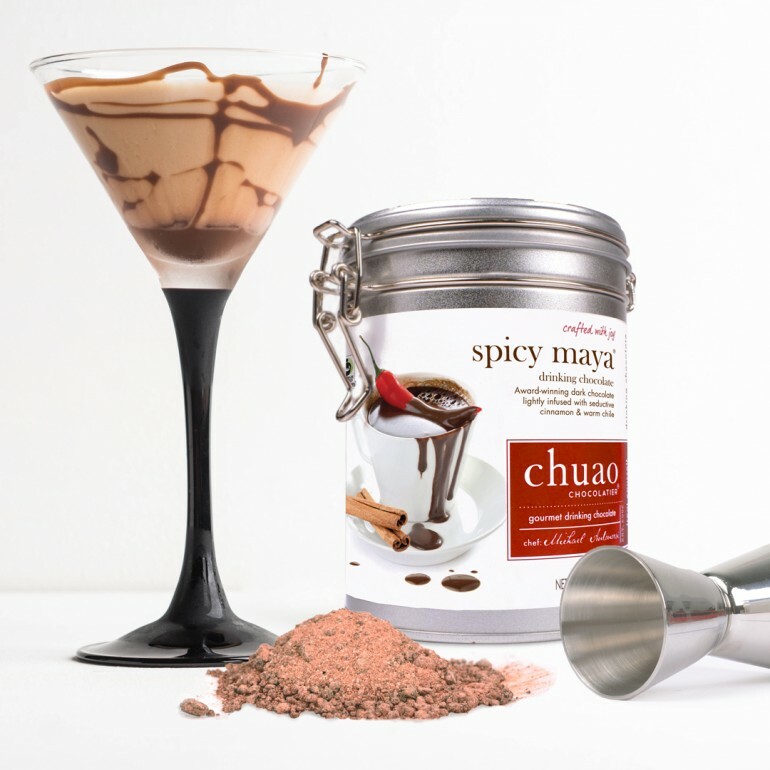 Spicy Maya Chocolate Martini: A kick of spice, a splash of indulgent, and layers of richness like you wouldn’t believe. Pairs perfectly with Deluxious Dark Chocolate Brownies! Combine the water and the Spicy Maya drinking chocolate in a microwave safe bowl. Place in the microwave and heat for 30 seconds. Stir. If the mix is not completely melted, place in the microwave again at 15 second increments until the mix is melted completely. Set aside and let cool. Once the drinking chocolate mix is cooled to about room temperature, combine vodka, coffee liqueur, and melted drinking chocolate into a cocktail shaker with ice. Close the lid and shake rigorously for about 30 seconds. Strain the cocktail into your favorite martini glass. Add a sprinkle of cayenne on top. Deluxious Dark Drinking Chocolate Brownies: Give the recipe a try, and taste this joyfully fudgy brownies today! Preheat oven to 350 degrees. Line an 8x8 baking dish with parchment paper, allowing excess paper to hang over the sides. Set aside. Melt butter in a pot over low heat until completely melted. Add in Drinking Chocolate and whisk until all the chocolate is completely melted; about 1 minute. Remove from heat and let cool. While the mixture is cooling, in a separate bowl, sift together flour, cacao powder, and salt. Once the Drinking Chocolate and butter mixture is cooled, add in eggs one at a time and whisk until completely combined. Add in sugar and vanilla to the wet mixture and whisk until combined. Combine the wet and dry ingredients, and mix together with a wooden spoon until just combined. Do not overmix. Add in tasting discs and stir to incorporate. Pour the brownie mixture into the prepared baking dish, and bake 25-30 minutes, or until top is dry to the touch and the brownies don’t jiggle in the pan. Remove from the oven. Let cool about 5 minutes, then remove from pan. Allow the brownies to continue cooling on a wire rack. Once they’re cooled (if you can wait that long), slice, serve, and enjoy! Baconluxious Pumpkin "Thumbprint" Cookies: The perfect fall flavor in one sweet bite. Position racks in the upper and lower thirds of the oven; preheat to 375°F. Line 2 baking sheets with parchment paper; mist with cooking spray. Whisk the flour, baking powder, baking soda, cinnamon, allspice and salt in a medium bowl. Whisk the brown sugar, pumpkin puree, vegetable oil, egg and vanilla in a large bowl; add the flour mixture and gently stir with a wooden spoon until just incorporated. Drop tablespoonfuls of dough 2 inches apart on the prepared baking sheets. Bake 8-10 minutes, until cookies look slightly dry and crackled on top, then remove from the oven and immediately push a square of Baconluxious Chocolate into each warm cookie. Let cool 5 minutes on the baking sheets, then transfer to racks to cool completely.